SCRAP•ARTS•MUSIC will take the stage at the Winspear Opera House this Friday, November 22. Their performances are a spectacular and intoxicating mix of music and movement that transcends language, culture and age - great for the entire family. 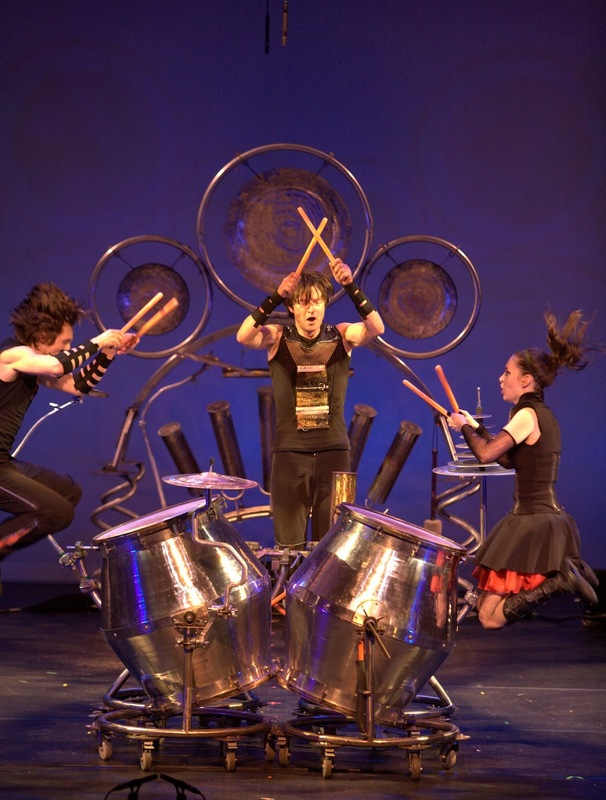 With hand-crafted instruments using found materials such as accordion parts, aluminum scraps and even artillery shells, composer-percussionist Gregory Kozak and designer-muse Justine Murdy take musical invention, recycling and environmental consciousness to new heights. Their “upcycled” creations transform into over 100 unique mobile sculptures capable of fresh and exhilarating music. Exciting and mesmerizing, three billion viewers watched them worldwide as they were featured at the Closing Ceremonies of the 2010 Olympics. Tickets for SCRAP•ARTS•MUSIC range from $125 to $19 and can be purchased online at http://www.attpac.org/on-sale/2013/scrap-arts-music/, by phone at 214.880.0202 or in person at the AT&T Performing Arts Center Information Center, 2353 Flora Street (Monday through Sunday, 10 a.m. – 9 p.m.).